Jeffers funny and sweet story of the boy and the penguin is a tale of friendship, of trying new things, and finding out who you are and what matters most to you. The penguin wanted to fly. He tried different things like jumping off a high place, and trying to float with a helium balloon. The boy helped the penguin try different things, and looked in books for answers. Together, they headed into the zoo to get advice from the birds there. While there, the penguin saw an ad – a circus needed a new performer for the cannon act. The penguin rushed off and was hired for the job. The boy looked everywhere for the penguin – even with the other penguins, but none of them knew how to play his favorite game. The boy and the penguin missed and worried about each other all night. When it was time for the penguin to do the fired-from-the-canon act, he wasn’t as excited as he’d expected to be. And, he missed the boy. As the penguin shot out of the canon, the boy rushed into the circus to find his friend. The penguin was frightened and worried as he flew, and he missed the boy. But, the boy was there to catch him. Jeffers simple color illustrations bring the story to life. 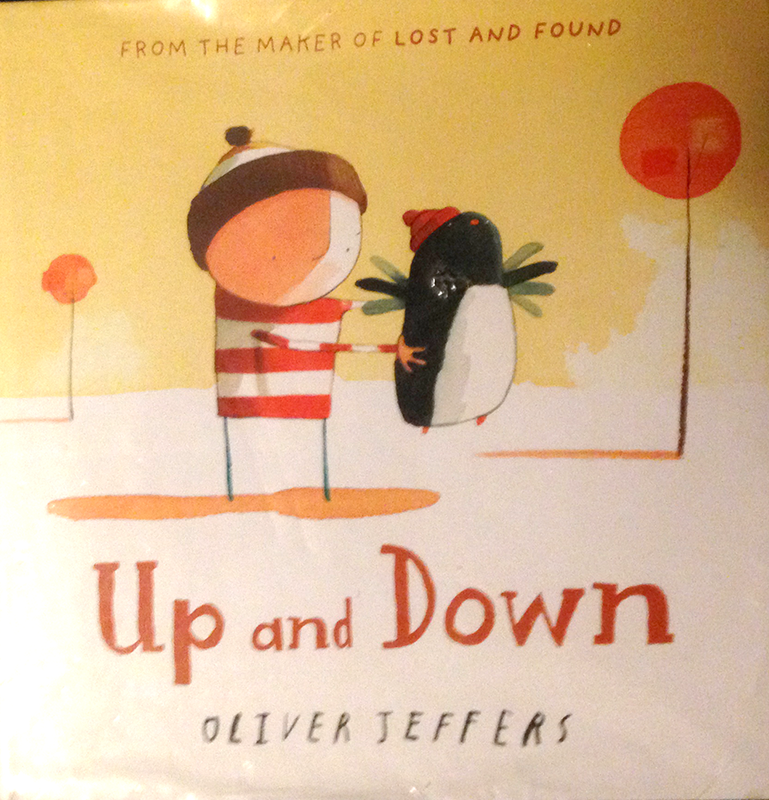 This fun picture book is the sequel to Jeffers’ Lost and Found.